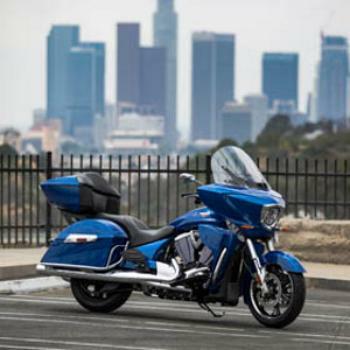 Polaris Industries is recalling 26,182 model year 2010-2017 Victory Cross Country, Cross Country Tour, Cross Roads, Magnum, and Hard Ball motorcycles. If the engine misfires, continued riding may result in heat from the catalytic converter melting the rear brake line and nearby wiring. A melted rear brake line can reduce braking performance, increasing the risk of a crash. Polaris will notify owners, and dealers will re-route the brake line away from the exhaust catalyst, free of charge. Owners may contact Polaris customer service at 1-877-737-7172. Polaris' number for this recall is V-17-02.